An error message "SN (a serial number) has been activated. 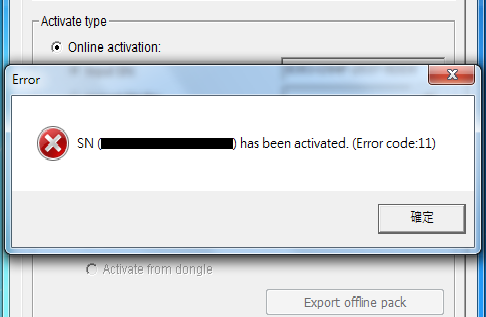 (Error code: 11)" pops up, after clicking the "Activate Button" in License Activate Tool. 1. The serial number has been activated in another PC. 2. 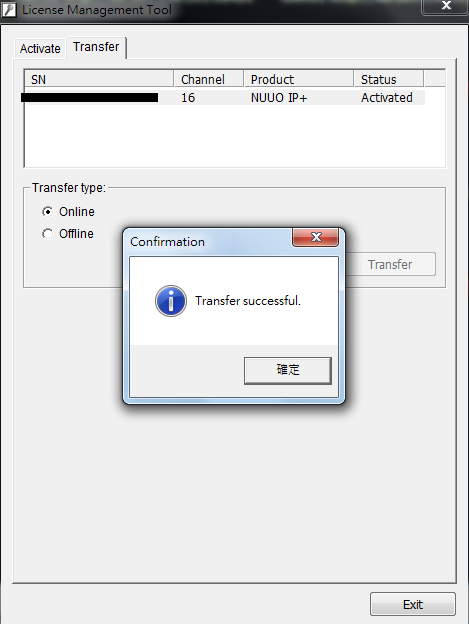 When you want to activate your license to a new server, you must transfer your license first (from the old server) and then activate the license to the new one. 3. Forget to transfer your license(s), before reinstalling your Windows OS and Mainconsole. For all three possible root causes mentioned, it requires you to perform the process to find the old or another PC with the license(s) activated. And transfer license(s) out from them. By performing any license transfer process, it will remove the license(s) from binding with certain Network Card MAC address. 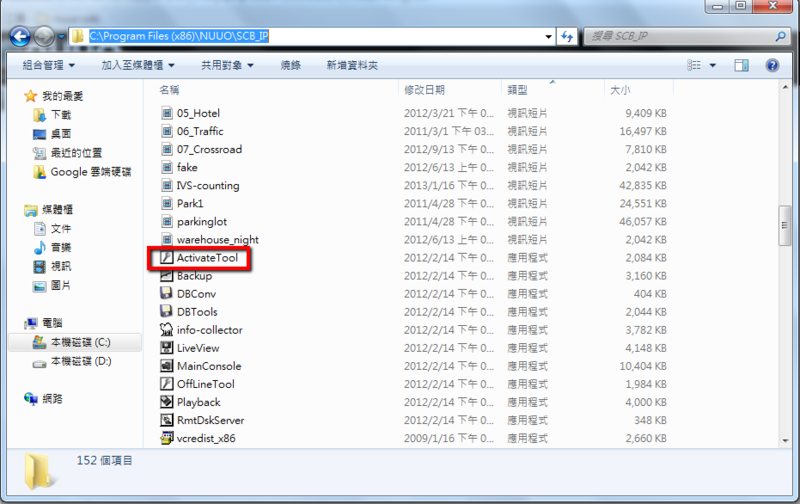 Therefore, you are able to re-activate the license(s) on any new PC you want. Below Solution part will introduce you for the process on how to transfer the license(s) out in order to remove the license(s) MAC address binding. But, if you are facing any one of below reasons that you are not able to perform any license(s) transfer process, please contact us on eHelpDesk and share additional information for further investigation and confirmation. We might be able to reset the license(s) for you accordingly. 1. PC crashed and cannot be running again. 2. PC was stolen or destroyed. 1. Please kindly provide all the MAC address information for the original server for re-confirmation (any wireless Network Cards are also required.). If 3G/LTE mobile network was using for license activation purpose and done successfully, please also provide the MAC address information for the smartphone too. 2. If you'd used a Network add-on Card and the PC crashed, you are still able to find out the MAC address of the Network Card(s) if it/they are still functioning. All you have to do is to remove it/them out from its original PC. And insert it/them into another PC that is still functioning. With proper OS system boot up and the Network Card driver(s) installed correctly, you are able to get the MAC address information too. You can check the MAC address with below methods. 2.1 Go to "Start". Search keyword "cmd" and find "Command Line" program. Execute "Command Line" program. 2.2 Keyin "getmac" in order to receive the MAC address information for all Network Card devices. 3. If point 1 and 2 mentioned above didn't work. You are still able to retrieve MAC address information from PC hardware since Network Card or Motherboard (with built-in Network Card(s)) vendors usually put MAC address information on a sticker on the Network Card (or Motherboard) PCB board or PC chassis. Please check out the steps shown below. 3.1 Pull out the Network Card from the PC. 3.2 Try to find any sticker on the Network Card showing any MAC address information. 3.3 The MAC address information might be printed directly onto Network Card PCB. Please also try this way. 4. Any license(s) purchase order documentation. 2. Use "ActiveTool" to transfer all your serial numbers. 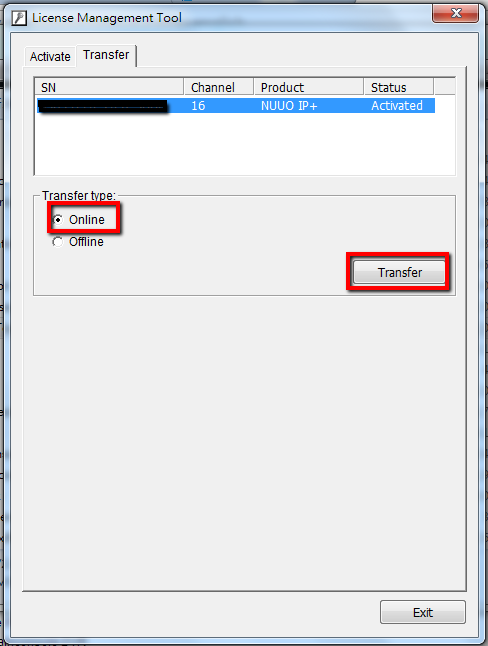 2.1 Offline Transfer (if your Mainconsole is not connected to the internet) ---> refer to wiki "How to do Offline Transfer"
2.1 Offline Transfer (假設安裝有Mainconsole的電腦沒有辦法存取網際網路) ---> 請參閱wiki文章"How to do Offline Transfer"
2.2.1 Double click the "ActiveTool" and it will pop out a message to login into Mainconsole. 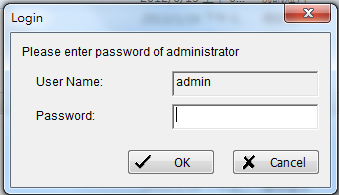 2.2.2 After login, a window of License Management Tool will pop out. Select your license, choose "Online" and then click "Transfer". 2.2.3 Transfer successful if everything is correct. That does not work if like mentioned "forgot to transfer on old system". The license number cannot be entered if not already registered on the new system. How can i transfer the serial number if does not appear or is empty the activate windows? In PC the system hard is bad and don't readeble.